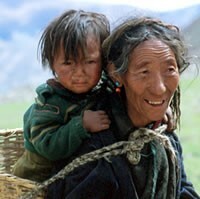 The Minyak are part of the Tibetan nationality. They have been described as a "peaceful, sedentary Tibetan tribe, a most inoffensive, obliging, happy-go-lucky people." Most of the members of this group call themselves Minyak, except for those living at Kangding and the Tanggu area of Jiulong County who call themselves Buoba. 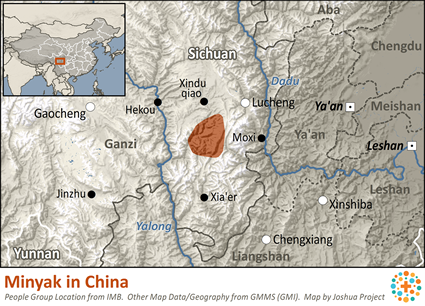 The Minyak were once part of the now extinct Chiala Tibetan Kingdom in western Sichuan. Ancient tianlu, or stone defense towers, still stand in dilapidated condition at valley junctures. For centuries the Minyak were bullied by the violent Khampa. Rock reported, "The Minya [Minyak] Tibetan's homes have been burned several times by [Khampa] outlaws. On previous raids the Minya people could only flee into the hills and leave their homes to the robbers." The Minyak may be descended from survivors of the destruction of Minyak (in presentday Ningxia) by Genghis Khan in 1227. The Minyak live quiet lives in nearly complete isolation from the rest of the world. Most of their villages are accessible only by foot. 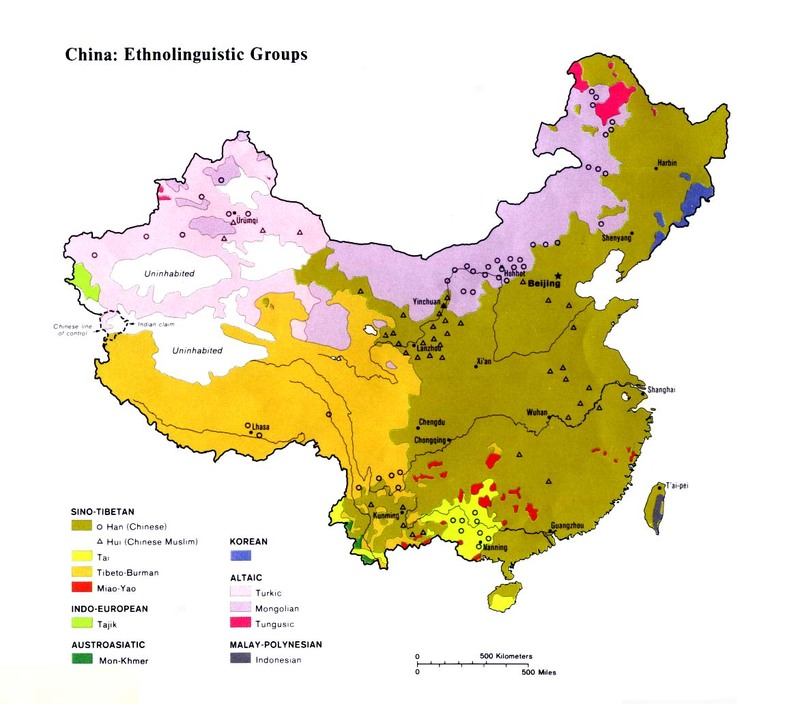 The Minyak have many cultural links to the Qiang that show a common ancestry, including a reverence for white stones. In the past the Minyak lived in small isolated communities, but because of attacks by Khampa bandits they have constructed "large fortress-like community houses built of rock, looking like prisons of the Middle Ages." Most Minyak spend their time raising livestock. All Minyak adhere to Tibetan Buddhism. They observe Tibetan festivals and make pilgrimages to Tibetan holy sites. Although there are presently no known Christians among the Minyak, the China Inland Mission did have a station in Tatsienlu (now Kangding), on the edge of Minyak territory. The mission closed when the missionaries were forced to leave China in the early 1950s. When explorer Joseph Rock first entered the Minyak region he was besieged for medicine - a sure sign missionaries had been there before him. "Whenever we came to a village, the peasants would gather about us and with folded hands would beseech me to dispense medicine to sick relatives." The Minyak today have no awareness of Jesus Christ or his grace. They know nothing of Christianity, living and dying "without the slightest knowledge of the outside world." View Minyak in all countries. Location in Country: They inhabit parts of Kangding, Ya'an, Jiulong and Shimian counties in the Garze Tibetan Prefecture.